As a child, growing up in the Roman Catholic church, we always celebrated Advent. This is partially because I was a serious pyro child, so I got excited whenever there were matches and candles involved. (I still can’t believe Mom was letting me light the prayer candles at age 6. She is a brave woman.) But it was such a precious way of looking forward to something. Only one candle was lit at a time, but all the unlit candles were there, waiting, saying “light me!” Then, as the weeks passed, the candles took on a satisfying spiral pattern as the earlier candles got shorter. Oil-lamp-fake candles, while safer, do not take on the aforementioned satisfying spiral pattern. I knew, going into this project, that it was going to have four on its sides. The details, however, were much hazier in my mind, but as I chose different elements, they acquired subtler symbolism of their own. 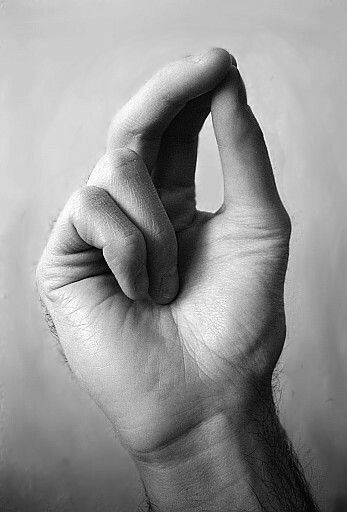 The other you may see in icons of bishops or saints, which looks like the A-Ok sign, but with the three fingers together. Hopefully someone in the comments will tell me what this is called. Both of these gestures hold three fingers together for the three persons of the Trinity, and hold two together for the two natures of Jesus, divine and human. Since Advent particularly anticipates the incarnation, the moment in which Christ was no longer only divine but took on human nature, it seems appropriate for the number two to turn up in the many cables on this hat. A cable is basically two columns of stockinette stitch, twining around each other to make one new shape. A pair of cables makes the “Wheat Ear” pattern that visually takes the place of the wreath, while each candle taper is a its own cable. The same theme can be more subtly traced in the twisted stitches that climb the body of the hat. Yet, the primary symbolism of these twisted stitches is more attached to the number three. As I began to work the hat, I realized that four cabled candles on a reverse stockinette background would be a bit too stark. So the columns of twisted stitches came into being, and they naturally became the place to hide the decreases for the crown. I probably don’t need to point out that when they come together, it forms the shape of a cross. 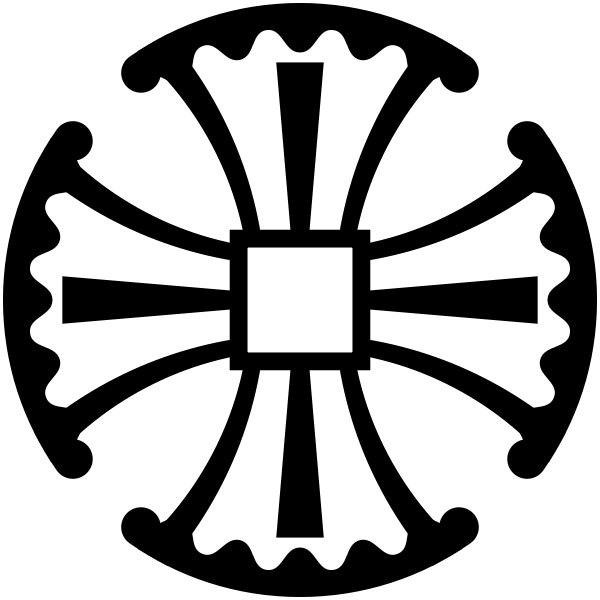 Out of the plethora of types of cross, this shape somewhat resembles the oh-so-Anglican Canterbury cross, a coincidence I am happy to contribute to Providence. If I’ve given you the impression that this subtle interplay of numbers and symbols was all out of my own head, I’ve deceived you. I knew the general idea of what I wanted, and experimented to get a look I liked, but only as the hat appeared between my hands did I recognize all the relationships between stitches and signs. This is not the only pattern for which this is true, and I look forward to sharing each pattern’s story as the seasons begin. For those of you who have joined me on this Advent journey, I hope this project was enjoyable for you during this busy season. The completed pattern has been sent to all participants, is now available to the general public here on Ravelry. Very cool! Thank you. There was even more symbolism than I expected. Thank you for another amazing journey Rebecca. Your creativity never ceases to amaze me. Merry Christmas !